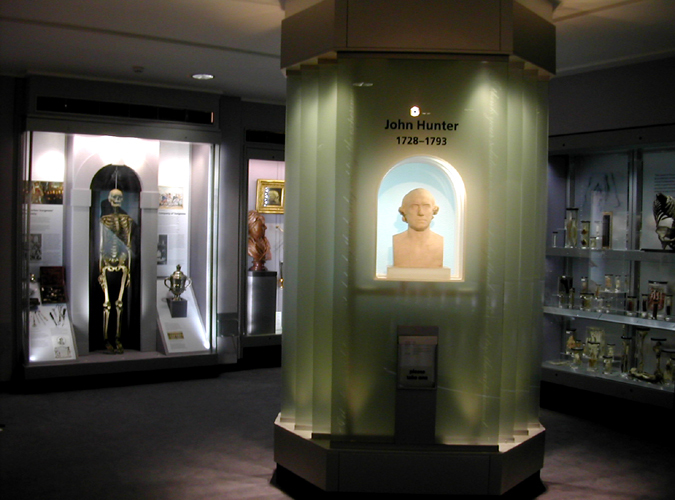 The Museum was founded by the pioneer of scientific surgery, John Hunter (d.1793).It has been part of the Royal College of Surgeons in Lincolns Inn Fields since the early 19th century.The Museum was rebuilt behind the 19th C façade after WWII bomb damage. 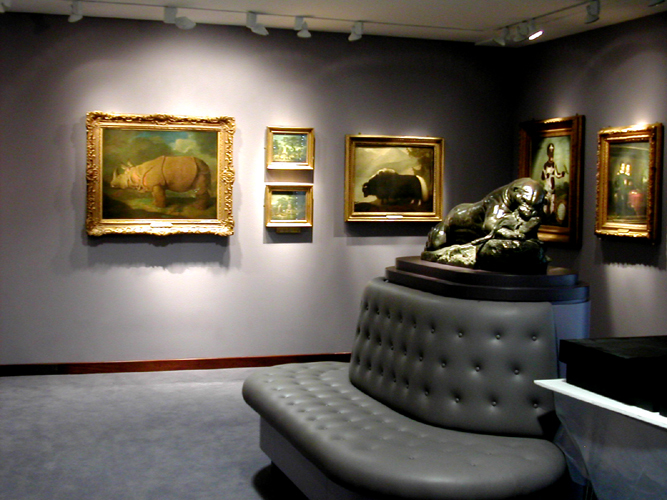 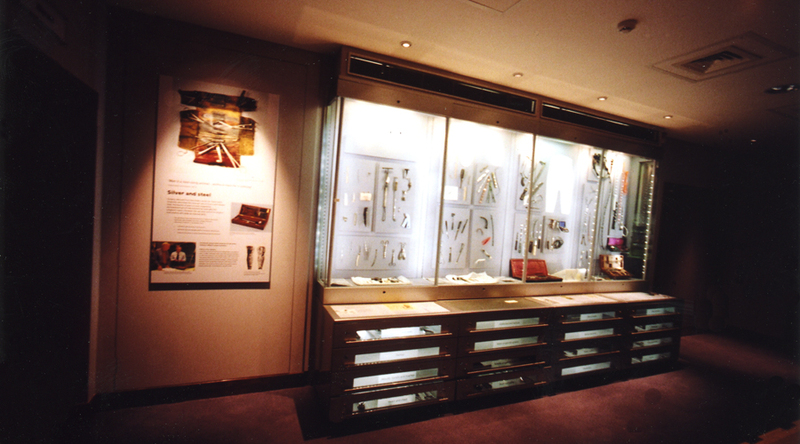 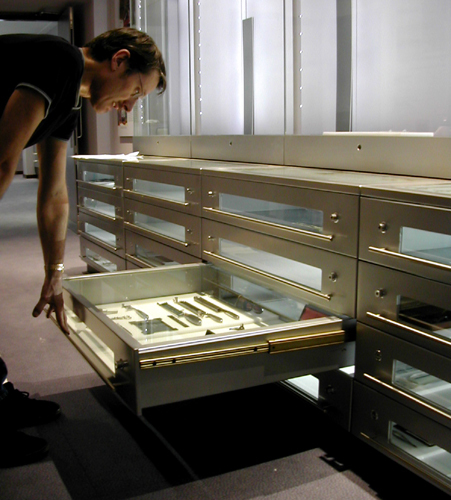 Working hand in hand with the exhibition specialists Ronayne Design, JBA radically transformed the 1950’s interior whilst increasing the exhibition area and facilities. 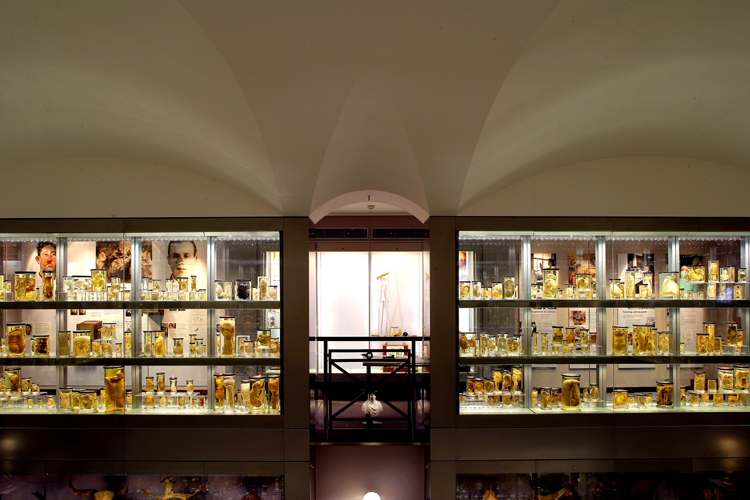 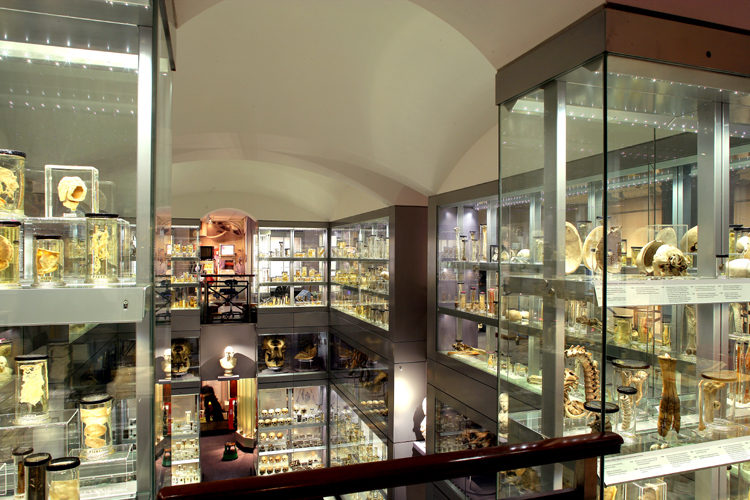 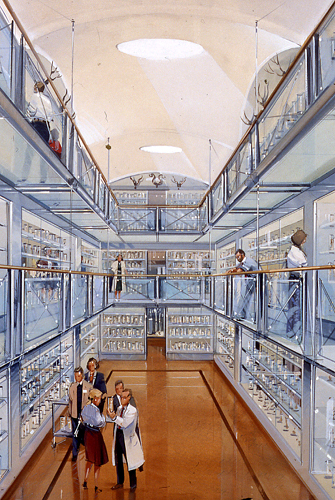 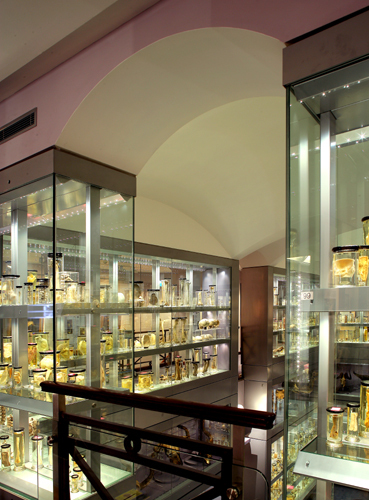 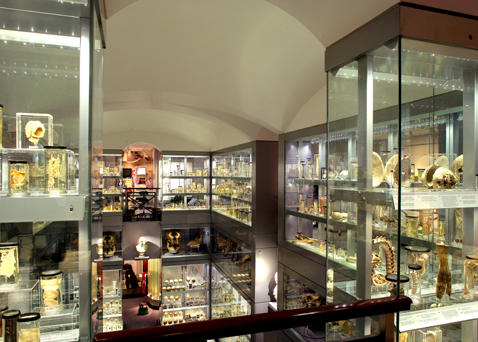 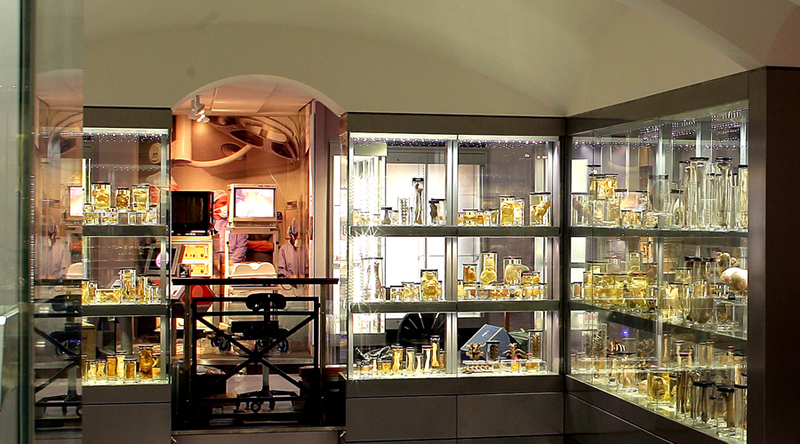 The 3,000 glass jars containing Hunter's original anatomical preparations are housed in a dynamic central atrium of all-glass cases rising through the full height of the 2-storey space.Entrance portals at the four sides allow free visitor circulation. 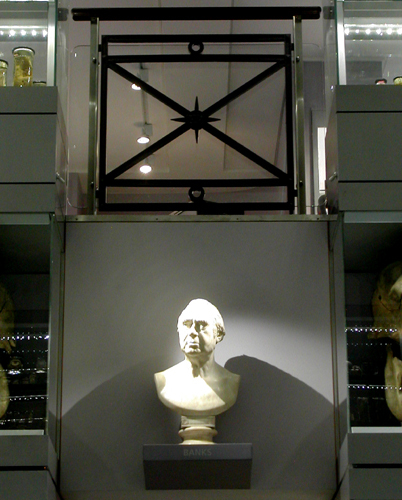 Decorative cast iron balustrades salvaged from the pre-war museum guard the balconies.The 6-metre high structure is topped by a graceful handkerchief vault in fibrous plaster, a reminder of the original museum designed by the younger George Dance. 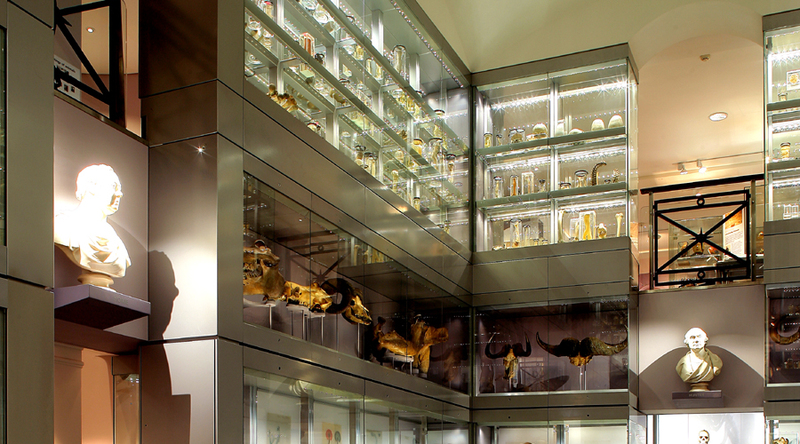 The design involved the close collaboration of many consultants and specialists – architects, engineers, cost consultants, case designers, lighting specialists, case manufacturers, graphic designers etc.The main contractor, Beck Interiors, successfully coordinated all the various trades, dealing with fine joinery and data cabling; demolition, steelwork and reinforced concrete; plumbing, air conditioning, decoration and metalwork; graphics, Perspex-forming, carpeting and french polishing. 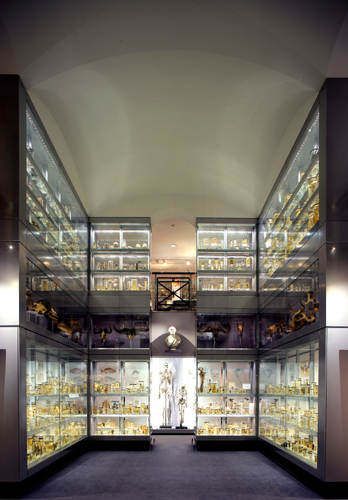 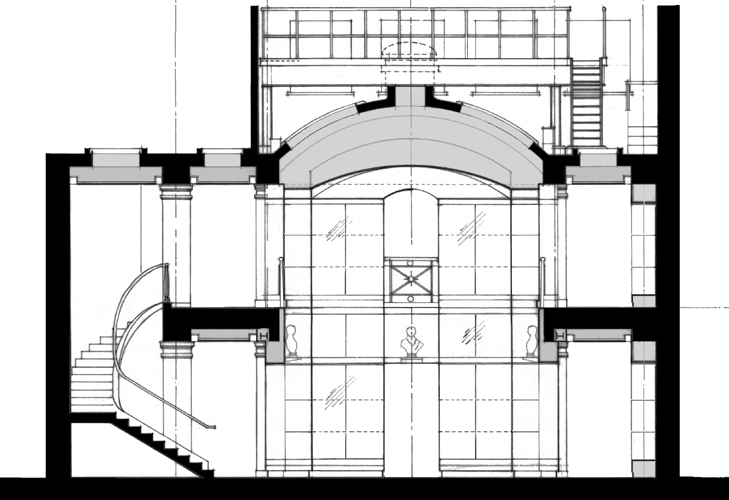 After much carefully considered design work and diligent craftsmanship this complex refurbishment was completed in February 2005 with the aid of the Heritage Lottery Find and the Welcome Foundation .